KIESELMANN ball valves are prefect for viscous or lumpy products. The free and even passage is the perfect solution for sensitive media in the food and pharmaceutical industries. 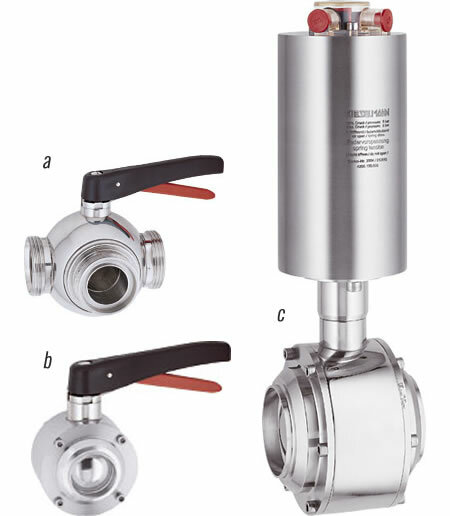 The hygienic KIESELMANN ball valves are piggable and dead space-free. In addition to passage ball valves and three-way ball valves, also ball valves with rinsing connections and heating jacket are available. The modular system allows quick and easy conversion from manual to pneumatic actuator with sensors or control head KI-top. Thus, the valves can be easily integrated into automated processes.